During his lifetime, the Lubavitcher Rebbe, Rabbi Menachem Mendel Schneerson of blessed memory, was a highly successful religious leader. His brilliant scholarship and eloquent speaking touched hundreds of thousands of people. Larger than life and presiding in a post-Holocaust world during which Jews returned to the land of Israel in an unprecedented fashion, he was declared by many of his followers to be the Moshiach (Messiah) for whom Jews have waited for thousands of years. His death in 1994 should have dashed those hopes. However, many of his followers have advanced the position that even today the Rebbe can still be Moshiach. This book is an analysis of this position within the Jewish tradition. What do the doctrinally binding texts say about a dead man being Moshiach? 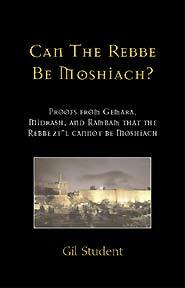 In a presentation appropriate for both the layman and the experienced scholar, this work demonstrates from dozens of texts that according to the authentic Jewish tradition the Rebbe unfortunately cannot be Moshiach.